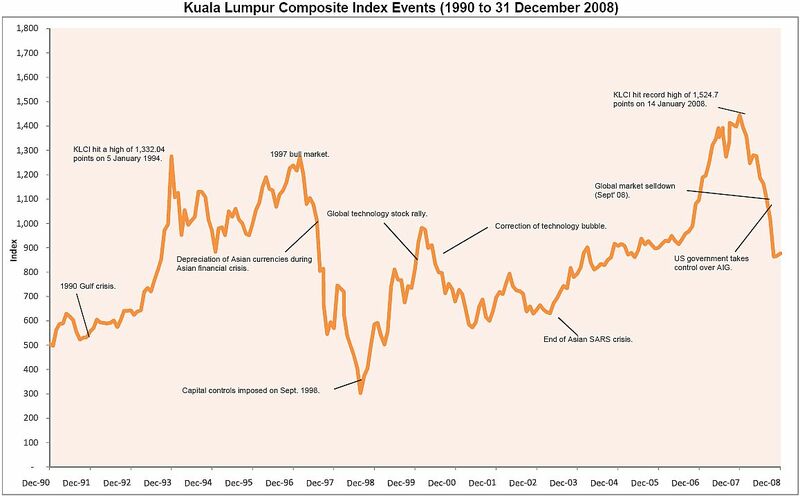 This is the latest KLCI (Kuala Lumpur Composite Index) chart from 1990 till December 2008. You could have read the investment idea from my post about the Rule of 72 for Money Management and Financial Planning. And I had introduced how mutual fund (or unit trust fund) that could be a great tool to everyone to achieve financial goals. 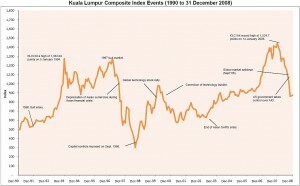 How to make our money work harder?